Comments: Retains its cone-shape with little or no shearing. It is excellent for screening, container growing and for specimen plant. 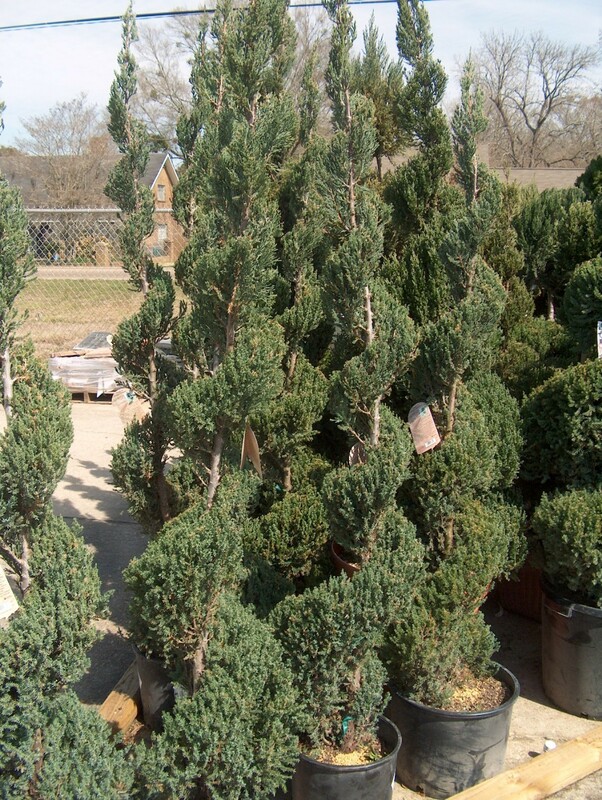 Spider mites and bagworms can be a problem with all junipers. Chinese junipers are dioecious with male and female flowers on separate plants.